Kiera Cass's Number 1 New York Times bestselling Selection series has enchanted readers from the very first page. In this fourth romantic novel, follow Illéa's royal family into a whole new Selection - and find out what happens after happily ever after. Kiera Cass's #1 New York Times bestselling Selection series has enchanted readers from the very first page. 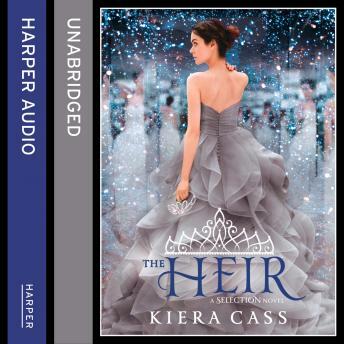 In this fourth romantic novel, follow Illéa's royal family into a whole new Selection-and find out what happens after happily ever after. Eighteen years ago, America Singer entered the Selection and won Prince Maxon's heart. Now the time has come for Princess Eadlyn to hold a Selection of her own. Eadlyn doesn't expect her Selection to be anything like her parents' fairy-tale love story...but as the competition begins, she may discover that finding her own happily ever after isn't as impossible as she's always thought.